Established in 2014 with a foundation built over 60 years in the manufacturing of Custom Hydraulic Manifolds, Tahoma Machining, LTD is your premier destination for high quality products delivered promptly when needed. 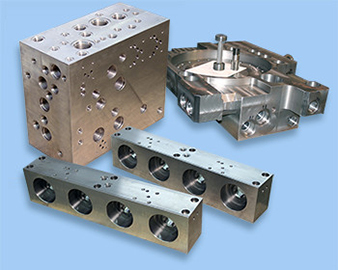 Tahoma Machining specializes in the manufacturing of custom hydraulic manifolds and other machined parts for various industries. Regardless of the scope of the work, our experience allows us the flexibility to work on a plethora of different jobs of literally all shapes, sizes and materials. Our strength originates within our team of skilled machinist’s where Quality and Delivery are truly, all that matters. Paired with an office that understands aggressive pricing within a competitive market is an absolute necessity to effectively serve our customers for years to come. All products are manufactured to exact design specifications. Our expertise in machining enables us to reduce lead times and provide competitive pricing.